Insubrica Historica along with our visit from Munich Alexander, took this past weekend the train journey from Locarno to Domodossola with the Centovalli Railway. We opted for a short stint, boarding the train from Intragna to Camedo and back to Intragna. 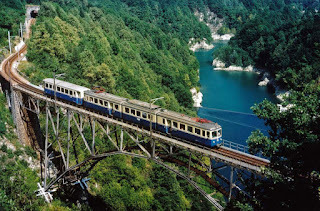 The railway is the shortest and most beautiful connection between lago Maggiore, the French speaking part of Switzerland and Berne, the capital of Switzerland. Even if our train ride was slightly more than 30 minutes each way (about 9 km), it was a very panoramic train journey through the picturesque “One Hundred Valleys”. The train passed deep gorges and crevices with glittering cascading waterfalls, as since the early morning of Sunday it was pouring rain on this part of the Swiss alps. 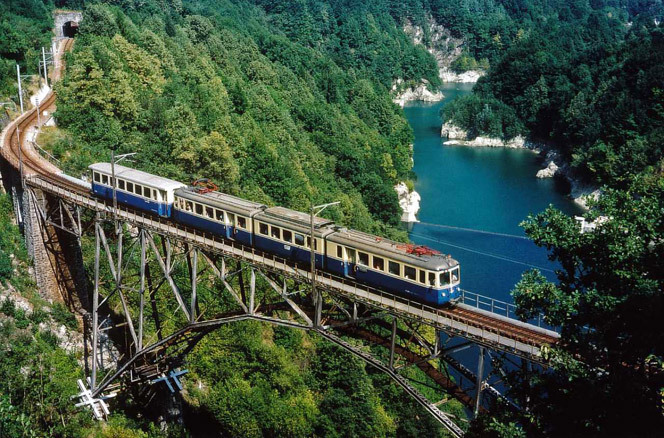 The train crossed colourful alpine meadows, several bridges, vineyards and forests of chestnut trees. The Domodossola-Locarno railway was born from an initiative mainly due to the then mayor of Locarno avv. Francesco Balli (1852-1924). The construction of the railway began in 1913 by the engineer Giacomo Sutter (1874-1939). The project stalled right at the beginning forced to halt as a consequence of the First World War, but gained momentum following a Convention signed on 12 November 1918 in Rome between the plenipotentiaries Sidney Constantino Baron Sonnino (1847-1922) and Hans von Segesser (1877-1935), representing respectively, the King of Italy and the Federal Council of the Swiss Confederation. The railway entered service on 25 November 1923 using for the first section the works of the Locarno-Bignasco railway and the Locarno trams that had the same metric gauge. Since then, it has regularly carried out its task of local connection between the region of Ossola and Locarno at Lake Maggiore. Even in the difficult period of the Partisan Republic of Ossola, it did not interrupt its important function of connection. Despite 1978 disastrous floods, which heavily affected the track in the Italian territories the service continued to perform as per today. Pallanza, Villa Giulia, 21.10.2018. 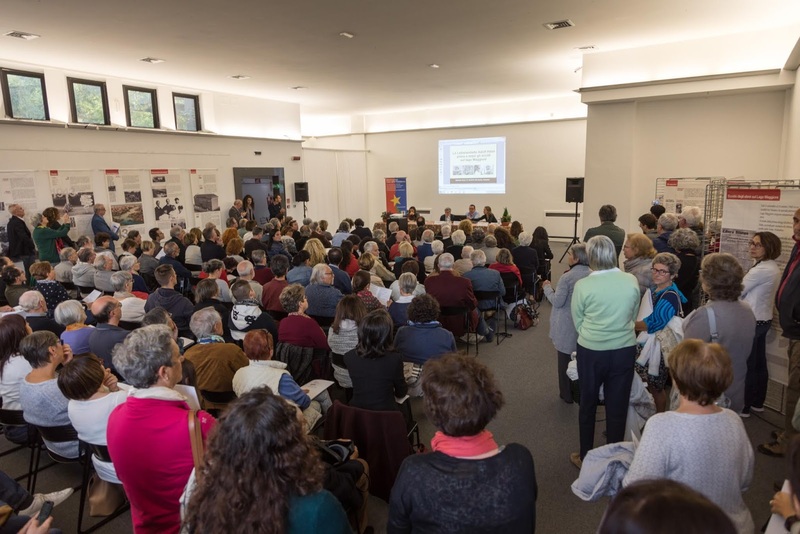 Raphael Rues of Insubrica Historica had on sunday the chance to held a presentation at the conference remembering the killing of at least 57 Jews during October 1944 on the shores of Lake Maggiore, Italy. The conference saw the presence also of Senator for life, Mrs. Liliana Segre (Milan 1930). In a very vivid testimonial Mrs. Segre recalled her experience of being captured in 1943 and deported in the camp of Birkenau (Auschwitz). The presentation about the Leibstandarte was focused on the military activities of the first Battalion of the Second Panzer Grenadier Regiment 2 of the Waffen-SS Leibstandarte Adolf Hitler commanded by Hans Becker. After a brief introduction regarding the actual Ph.D. project research of Raphael Rues, the presentation reconstructed the various stations of this unit, prior the operations in Italy. A very short video allowed the participants to discover even more details about this unit. About 150 persons attended this event, which was organized by Casa della Resistenza (CaRe). Mrs. Ester Giuli Bucchi, archive responsible for CaRe, presented the online database dedicated to the Lake Maggiore massacres in September and October 1943, in which 57 Jews predominantly of Italian, German and Greek nationalities were killed. The operation is considered to be the first German massacre of Jews in Italy during World War II. Original article written by Alessandro Velli, published in italian on the website Vco24. 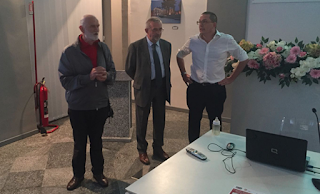 Official presentation in the late afternoon of Friday 12 October, at the Mellerio chapel in Domodossola, of the interesting book by the Ticinese historian Raphael Rues "SS-Polizei Ossola- Lake Maggiore 1943-45. Rastrellamenti e Crimini di Guerra" printed by Edizioni Insubrica Historica. The event was moderated by Professor Pier Antonio Ragozza, who in his introduction highlighted the responsibility of the SS-Police in the various war crimes committed in the Ossola region. Many of the officers also managed to remain after the war unpunished, and easily resumed their career in the German Federal police. The presentation also explained the various archival sources consulted for this specific research. 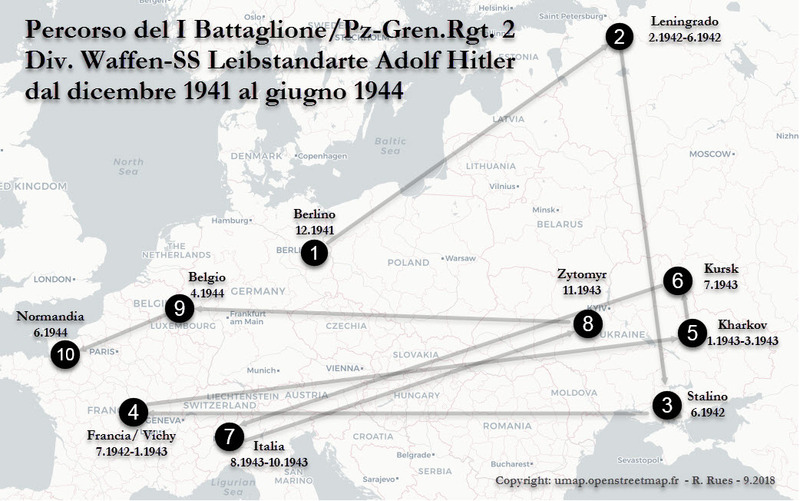 Breve storia del I battaglione Panzer-Grenadier Regiment 2 della divisione Leibstandarte SS Adolf Hitler prima e dopo gli eccidi di ebrei sul lago Maggiore. La presentazione che si tiene Domenica 21 ottobre 2018 presso Villa Giulia a Pallanza introduce un mirato appronfondimento alla formazione delle Waffen-SS responsabile degli eccidi di ebrei avvenuti sulle sponde delLago Maggiore nell’autunno 1943. 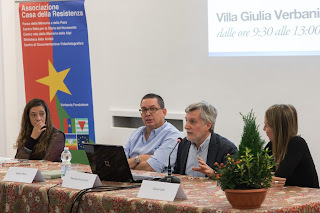 La presentazione, a cura del ricercatore svizzero Raphael Rues, rappresenta la sintesi di una più ampia ricerca, ancora in corso, condotta dall’autore nell’ambito della sua tesi di Dottorato in Storia Moderna presso la University of Leicester, Inghilterra, relativa alle attività delle formazioni tedesche e fasciste nella regione dell’Ossola e del Verbano dal settembre 1943 all'aprile 1945. L’autore può essere contattato a questo link. bianca e berretto è con tutta probabilità il capitano Hans Krüger.